The Dead iPod Song is a funny example of how people feel and respond when something that was good & enjoyable betrays them. What makes the “doom seed” so — well, doom-ish — is that what was once a very good thing has now become a very bad thing. And it doesn’t take much, at times, for things to go sideways. 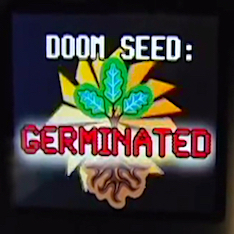 The fictitious ‘doom seed’ is tiny, but given time, it will — like yeast — work its magic (good or bad) and affect the whole kit ‘n’ kaboodle. The same can be said for churches, denominations, and church renewal movements. A lot of good — and potentially great — things can be derailed and thrown into disrepute by the doom seed of one rotten apple spoiling the rest. I was recently privileged to attend a church renewal conference with my wife, Wendy. The weekend conference was organized and run brilliantly by the host church, and a sea of smiling, hard-working volunteers. And there were a lot of noteworthy things that Wendy and I were delighted to see. A very high value placed on the discipline of Bible study, and allowing the Bible to be the grid by which we evaluate both teachings and experiences. A church culture that practices regular confession, repentance, and mutual accountability. 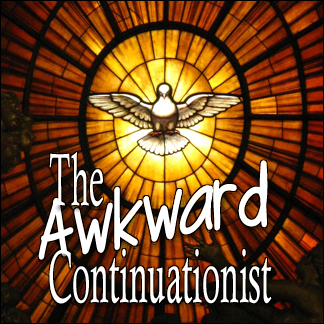 A continuationist approach to the present-day ministry of the Holy Spirit (and spiritual gifts) that was rooted in Scripture and non-theatrical. They took seriously the realities of spiritual warfare, but not in a “the devil-made-me-do-it” excuse for sinful behavior. Monthly ‘concerts of prayer’ (to use the old phrase for it) where the congregation gathers to worship and pray as a community. Prophetic ministry that was deliberately low-key and practiced among/by the laity. In general, a decidedly non-hyped environment. In other words, a lot of good fruit in the ministry. And the potential for a much wider impact for the good of the Body of Christ. And yet, even during this brief weekend, we observed several ‘doom seeds’ which — if not dealt with — possess the destructive potential to derail, or at best impede, what God is doing there. One potential ‘rotten apple’ was something that perhaps just needs to be nuanced better, while the other was a ‘doom seed deluxe’. 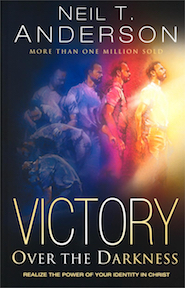 Most of the material from the church renewal weekend was based on Neil Anderson’s Victory Over the Darkness, coupled with some teachings from John & Paula Sandford’s Healing the Wounded Spirit. Anderson’s writings emphasize a ‘truth encounter’ when dealing with spiritual strongholds and inner healing, and this is where a better nuance is needed. Anderson emphasizes finding our identity in Jesus Christ, as the antidote to believing lies from the devil. This was also reflected during the concert of prayer evening, where the congregation gathered to celebrate a month of prayer and fasting, and to share their answers to prayer with each other in small clusters throughout the sanctuary. The odd piece here was how the sharing began: the lead pastor — speaking to people at a prayer gathering at the end of a month of prayer and fasting — told them that they weren’t praying enough. They were given three options to explain their lack of prayer: (A) pride, (B) laziness, or (C) unbelief. Now, said the pastor, turn to each other and confess which sin you are guilty of. And all over the sanctuary, everyone picked one of the options and confessed to each other. It was an odd beginning. Remember, this was a group who had come to a prayer meeting after a month of praying and fasting, and they were greeted with “you’re not praying enough”. And then forced to pick an arbitrary option to confess, provided by the lead pastor. Acknowledge their sources for ministry (Anderson, Sandford), so that people could read the books for themselves, and especially in Anderson’s case, get the balance of finding their identity in Christ to counteract the lies of the enemy. In other words, focus as much (or more) on the “life” side of the Cross, as on sin and confession. The two go together. Give space for the Holy Spirit to convict people about any lack of prayer, rather than assuming their guilt and then require praying people at a prayer event to confess their lack of prayer. During the ‘self-guided facilities tour’, I stopped by the church library to see what books were available (to the surprise of no-one who knows me — I love to read!). There was a wide collection of titles, but what caught my attention was the “Featured Author” table in the entrance. As someone with more than a passing familiarity with the Shepherding Movement and its modern-day successors, the New Apostolic Reformation (NAR), I was intrigued by the number of books by a noted NAR author that were prominently displayed. “I should perhaps ask about that,” I mused to myself, and filed the thought away. During the Sunday sermon, the lead pastor trotted out — as part of his ‘finding balance in the prophetic’ advice — some classic Shepherding teachings on submission to human authorities. To be fair, he never uttered the notorious “touch not the Lord’s anointed” slogan, but he did cite Hebrews 13:17 — “Obey your leaders” — coupled with David’s refusal to murder King Saul in his sleep as an example of submitting to human authorities. His conclusion was ‘don’t ever confront a leader, just pray’. His explanation — “this is not about control, it’s about God’s order” — is a slogan often used to defend the NAR’s embrace of Shepherding teaching about submission to leaders. If you’ve had any experience with those who espouse the teachings of the Shepherding Movement, you are probably hearing the same alarm bells that I did. “I should probably ask for clarification on that one, too,” I thought to myself. During the final session of the conference, there was a “Q&A” session, and apparently I wasn’t the only one with similar concerns. One delegate asked some insightful and pointed questions about the New Apostolic Reformation and whether it had any influence in this particular church. The lead pastor never actually answered the question, although he did chart out the functions of Apostle, Prophet, Evangelist, Shepherd, and Teacher on a whiteboard, pointing out which staff member of their church was in charge of each area. Again, to be fair, he didn’t say “I am the apostle”, but there was little doubt from his org chart about who held that distinction. There was also a pervasive aura of secrecy about certain topics; “you'll have to sign up for online mentoring if you want to know more...” But only senior pastors can sign up for personal mentoring, and therefore, answers to some of the troubling questions was restricted. Functionally, there’s no way for Joe Average or Jane Anybody to practice the spiritual gift of discernment (that qualifies as a big red flag of warning). As a friend reminded me (having also attended this conference — twice), in any church renewal ministry, there will always be a mixture of solid teaching & sketchy proof-texting, genuine Spirit-initiated ministry, and stuff that is best filed under “other”. And sometimes the “other” can poison the well, despite the genuine work of the Holy Spirit. The need for a weeding-out (discernment) process is what prompted me to write Post-Charismatic in the first place. There were a lot of good things to commend about the recent conference — things that might tempt me to keep my mouth shut about some of the needed nuances and/or warning about the doom seeds. But if we truly value the genuine work of the Holy Spirit, we need to both recognize and deal decisively with anything that might derail or corrupt the good things that the Spirit is doing.